A recent post from a Chinese Blog site has exposed the performance of AMD’s Upcoming Bulldozer Based Zambezi-FX Processors. 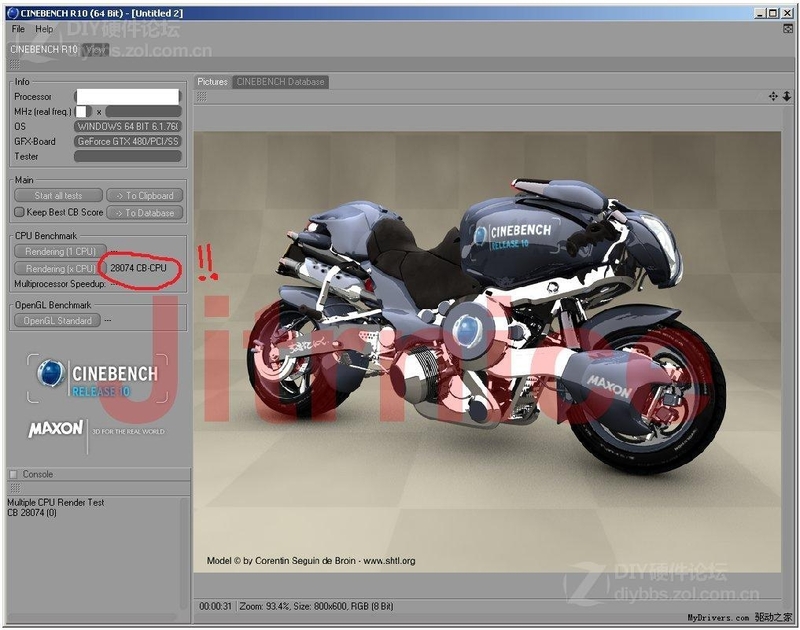 Although the Blog has been deleted but Zol.com.cn which is another Chinese Forum managed to get the screenshots from the blog post. 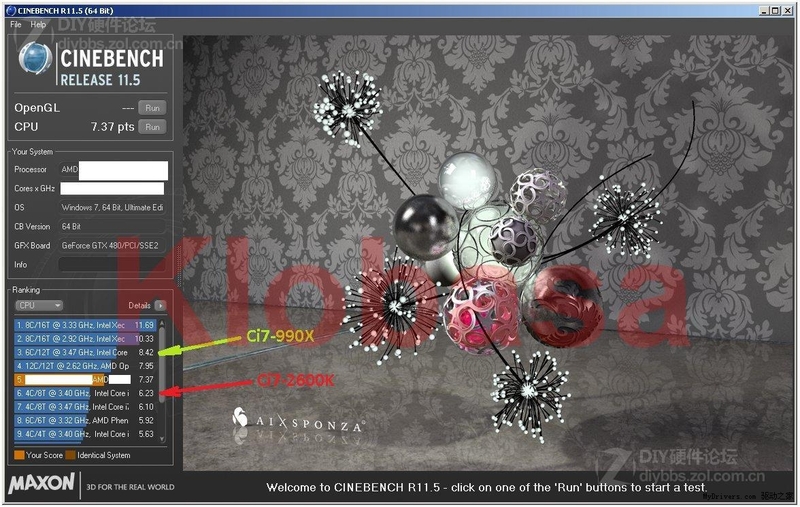 The AMD Processors being used is hidden but its confirmed by users that it was a 6/8 Core Zambezi-FX Processor and the benchmarks used for testing included CineBench R11.5 (x64) and R17 (x64). Both benchmarks evaluate the CPU performance capabilities. 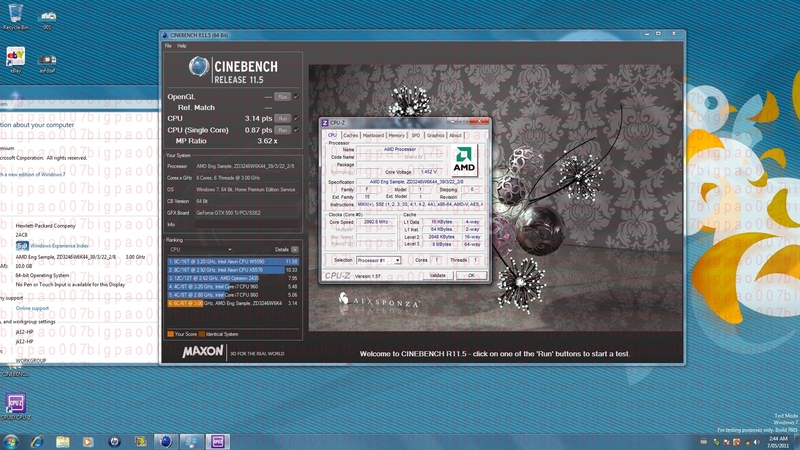 The AMD CPU scored 7.37 in Multi-Core rendering (CineBench R11.5) against the Intel i7 2600K’s 6.23 and i7 990x’s 8.42. A single digit score improvement in this benchmark means that Intel’s top line Sandy bridge will finally get some tough competition from the Zambezi-FX CPU’s. CinBench R10 reports a score of 28,074 however no CPU comparisons was mentioned but i can tell you this much that my i7 920 score a max of 19,500 score on stock clocks, Considering this, The bulldozer CPU’s hold quite some punch. We also reported some benchmarks of an Engineering Sample of AMD bulldozer CPU but the results were not as satisfying at these, You can check them out here. A recent pricing chart which got leaked here also shows that Bulldozer’s top of the line Zambezi-FX cost around 240-320$ for 6/8 Core models, The price ain’t bad at all for the CPU’s considering the performance increase they offer.